As you get to learn more about me and my educational philosophy, you’ll learn that I am truly a proponent good teaching and sound pedagogy focused specifically on math! So testing, for me, is just a vehicle to give me some insight on my teaching practice and my students’ confusion with the concepts. It’s basically my guide for what to do next or to redo. Needless to say, even though I am an educator, I was really having some anxiety about my son taking the PARCC in its initial year. Not because of the stakes attached to the test, but more so because I really had no way of identifying his mastery and understanding of the Common Core Standards based upon the type of schoolwork and graded assessments I saw being sent home. The work wasn’t PARCC like and it definitely did not show his ability to explain himself mathematically or require him to justify his reasoning. It was the work of the teaching I see when I visit many classrooms. 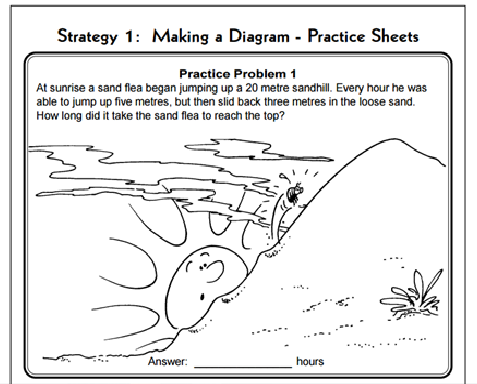 Problems and questions from a text or worksheet that just require students to compute and provide an answer with little explanation of their thinking. This is usually because the explanation of the problems and/or the correcting of any thinking is mostly steered by the teacher and not by students discussing their thinking or work. For my friends that are Mathematics Leaders please share any innovative actions that are getting results. It’s all about learning! So where am I going with these wonderings? Enter PARCC testing and Deputy Commissioner Peter Shulman’s statement that, “The PARCC assessment can be used as a tool to improve classroom instruction more effectively than any previous statewide assessment” along with research by the National Network of Teachers of the Year supporting the PARCC assessment as an effective measure of academic standards compared to previous statewide assessments and we are on to something here, determining teacher effectiveness. At least that’s what we will believe here in the state of New Jersey by tripling the weight of PARCC results in teacher evaluations. Then out of the mouth of Joshua, my son, came this comment when I asked him how he thought he did on the PARCC math assessment for 5th grade this past school year, “Mom, I had 11 questions to complete in 90 minutes. I finished before time and think I did well. I just don’t know how they are going to be able to tell what I really know about math based on only 11 questions today.” He was telling me that we need to gather more information about students’ thinking than their test performance. My son didn’t think that he had enough opportunities to show his true understanding of math. Well, in the same sense I have felt that using the PARCC test scores as part of the teacher evaluation system won’t help show a teacher’s true effectiveness. More so, the test won’t assist teachers in reflecting on their instructional practice since it only occurs once a year. So what will? Performance Tasks- Research suggests that students show greater interest/engagement and levels of learning when they are required to organize facts around major concepts and actively construct their own understanding of the concepts. This type of assessment allows students to collaborate in the problem-solving process through completing some activity that requires them to produce a product. Imagine giving students a performance task that requires them to act as architects to show their understanding of area and perimeter. I did! How may designs do you think we had? Students got to use their creativity and also explain the reasoning behind their design. Open-ended/response questions- These questions allow students to explain or justify their answers and/or strategies as a brief written or oral answer, a mathematical solution, a drawing, a diagram, chart or graph. Ron Pelfrey, a Mathematics Consultant, explains open-ended questions or problems as having more than one correct answer and more than one approach/strategy to arrive at the answer. While open-response questions or problems may only have one correct answer or one strategy to obtain the answer. Both questioning techniques, however; provide teachers with the ability to assess students’ analytical abilities and processing skills. This is one of my favorite questions. Everyone says they have the answer to until I advise that they must use drawings, diagrams or charts to explain how they arrived at their answer. Portfolios- This is a collection of student work, called artifacts, that evidences the student’s mastery of skills and/or applied knowledge. The work may be collected over the course of a marking period or throughout the course of the year. A process oriented portfolio allows for the student and teacher to identify the learner’s growth given it contains work from the beginning middle and end of a learning unit and requires the learner to reflect on his/her work. Process oriented portfolios are most common at the elementary level because of the reflective element and the focus on the learner’s growth. Product oriented portfolios are more collections of the student’s best work. While the teacher may set parameters around the quality of the artifacts. The student collects all his/her work during the stated time frame before selecting the pieces he/she deems the highest in quality. A self-reflection for each artifact regarding why the pieces represent the best work is usually included. Product oriented portfolios are most common at the secondary level possibly due to the student’s ability to evaluate the work and reflect deeply on the reason for selecting it. I think having work in the portfolio that addresses the Sternberg Intelligences in would be great. Wrapping up…if an eleven-year-old felt that the PARCC assessment didn’t have enough questions to truly help his teacher gauge his understanding of mathematics, why are we, the adults, trying to hang our hats on it as the tool that can determine teacher effectiveness tied to student growth? Let’s spend more time supporting teachers in their instructional practice so that they can effectively teach the standards and design the meaningful tasks that allow students to exhibit their true understanding of the mathematics. Would love to hear your thoughts. Author StepheniePosted on September 9, 2016 September 11, 2016 Categories Uncategorized2 Comments on Out of the mouth of Joshua!